I am making some Greek lemon chicken for a weekday meal. 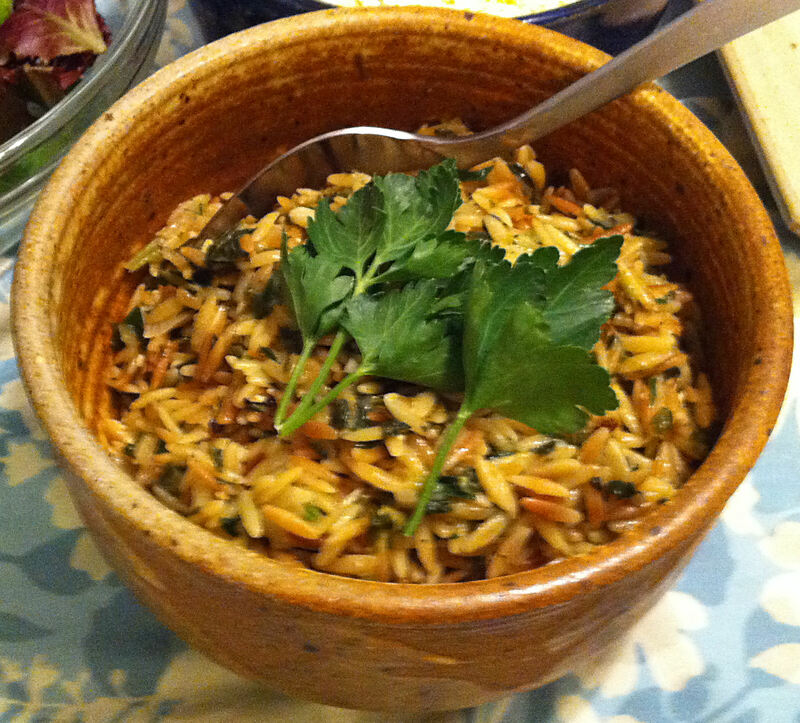 I made Spanakorizo (Greek spinach and rice) as a hot side dish last Easter. Today, I want to use the same flavors to make something lighter. 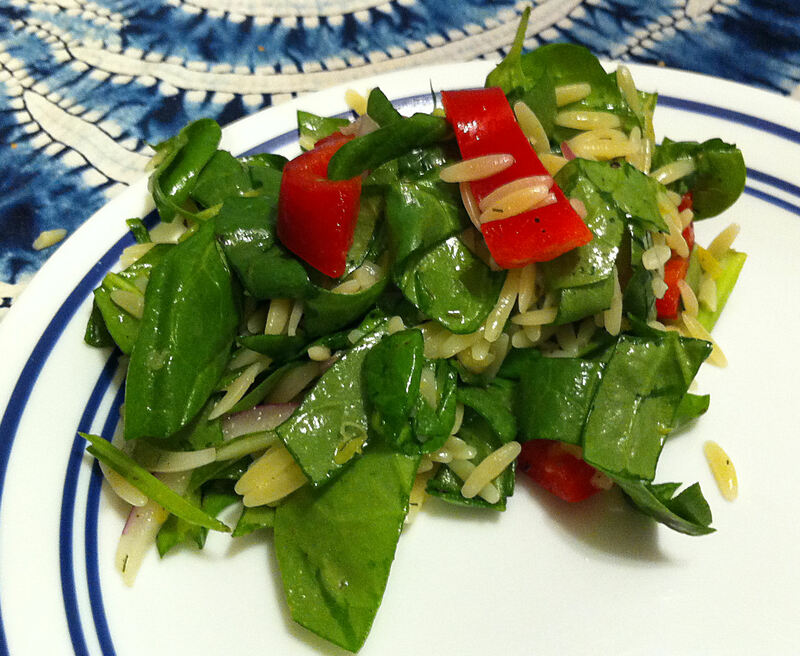 This is more a fresh spinach salad with pasta, not orzo with a bit of spinach.